Our much anticipated collaboration with Clarks Originals consists of two personal takes on the classic Clarks Wallabee for both men and women. 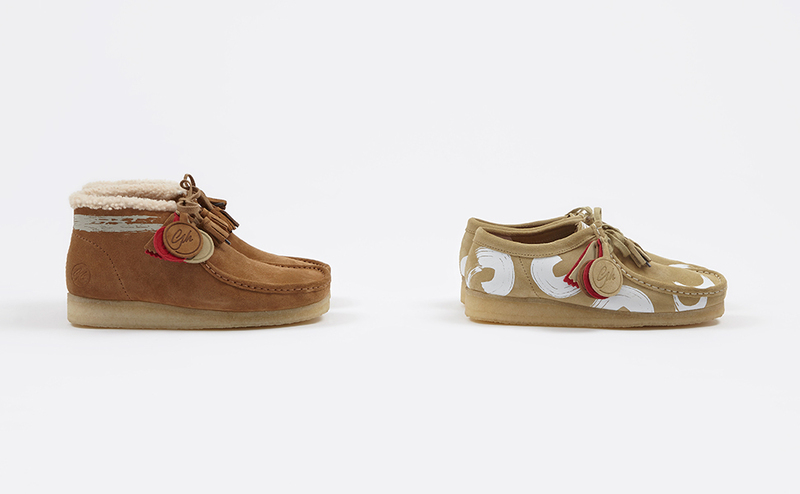 Both shoes feature custom paintbrush detailing as well as debossed lace tassels and joint branded leather swing tags. Shop below.